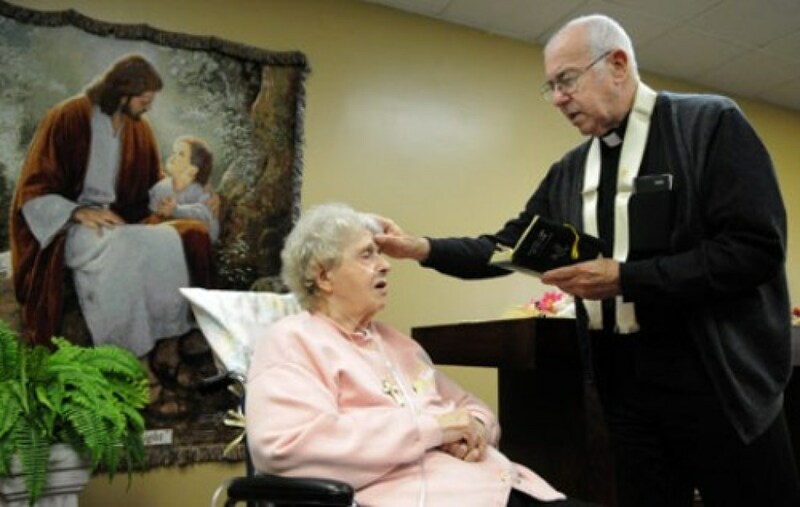 The Sacrament of the Anointing of the Sick is sometimes called the “forgotten sacrament” because any clear commentary about it disappeared for about seven hundred years. Unfortunately – and wrongly – this special source of support and comfort became more a sacrament of the dying. It was requested infrequently, and even then in the final moments before death, often when the baptized Christian was already unconscious and therefore unable to receive the sacrament. The community with whom they shared life and liturgy was no longer present to them, nor praying with and for them in the celebration of this sacrament. Vatican II rightly restored this sacrament to the sick who were not in immediate danger of death, and suggested that Anointing of the Sick was a more appropriate name than “Extreme Unction,” or “Last Rites.” In 1972 the revised Rite was named (officially) the Sacrament of the Anointing of the Sick, and was extended to include all ministry to the sick. The new rite for this sacrament was approved by the American Bishops in 1983, fifteen years ago. Once again the sacrament draws us in as family, friends, and community who minister to and actively support these persons at this time of weakness or separation. The rite intends that all of us take an active role, for the mission of the Church is Jesus’ healing, and together we are His Body, the Church. Christ continues His ministry of healing through this Sacrament of the Sick. To receive this healing sacrament, contact the parish office and one of our priests will be glad to come. In Bayonne Hospital, there is a parish on call for emergencies. Have the nurses call and a priest will be there.